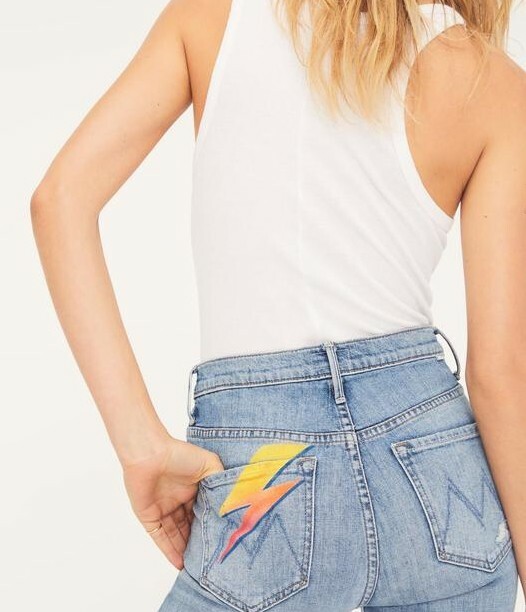 Turn around. 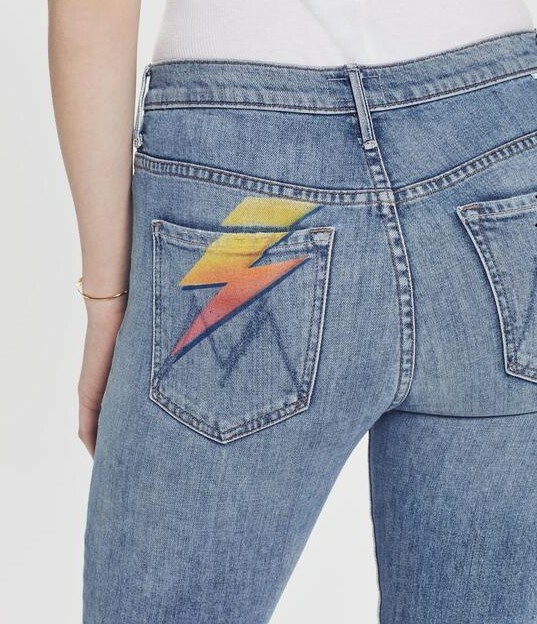 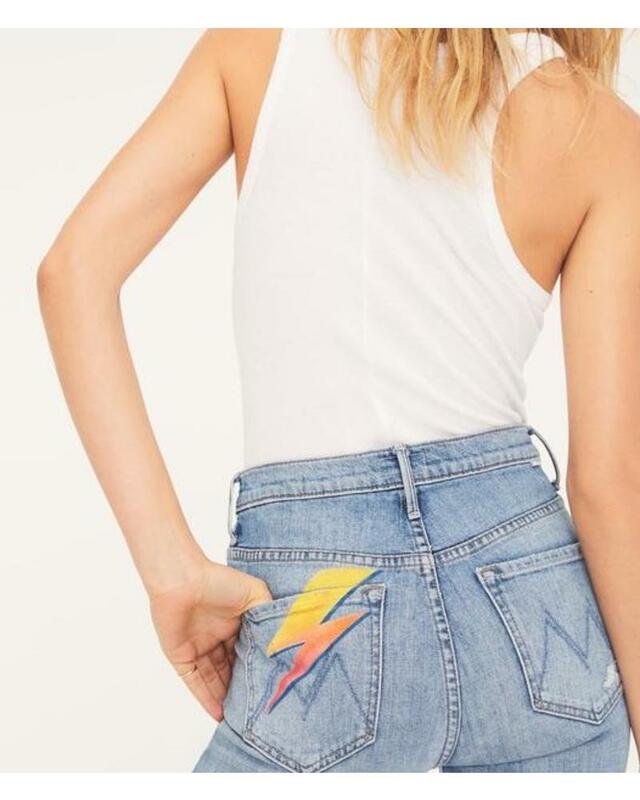 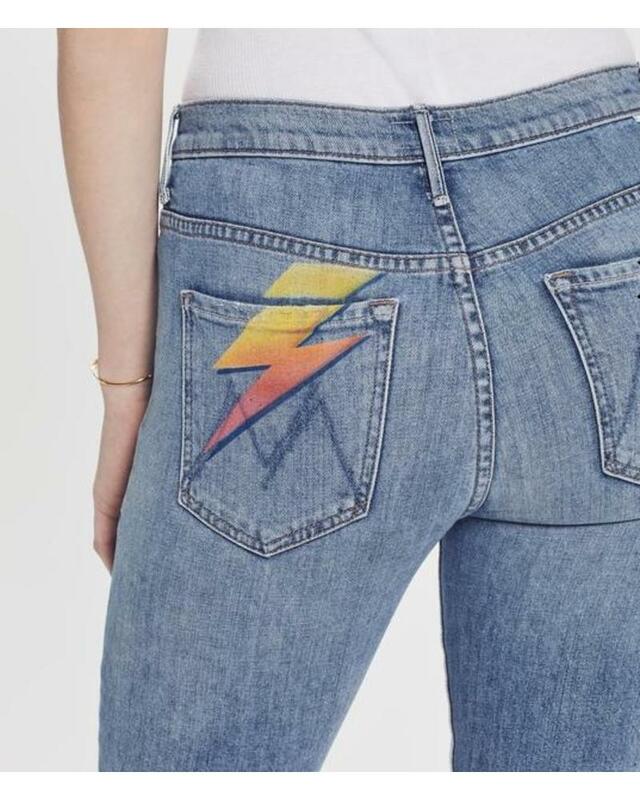 MOTHER's sporting a lightning bolt on her back pocket. 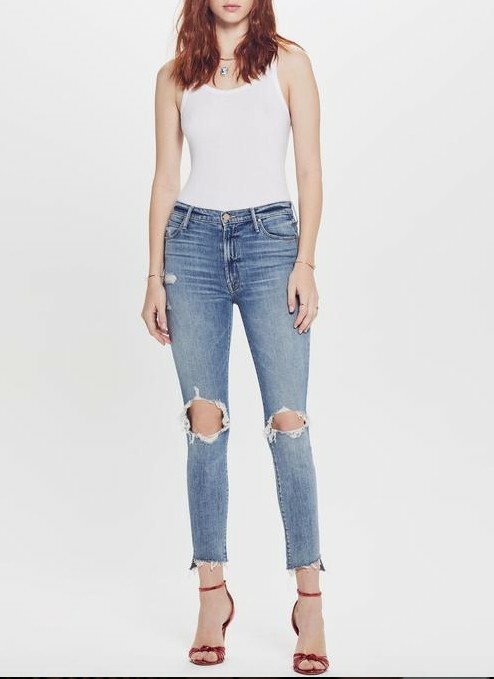 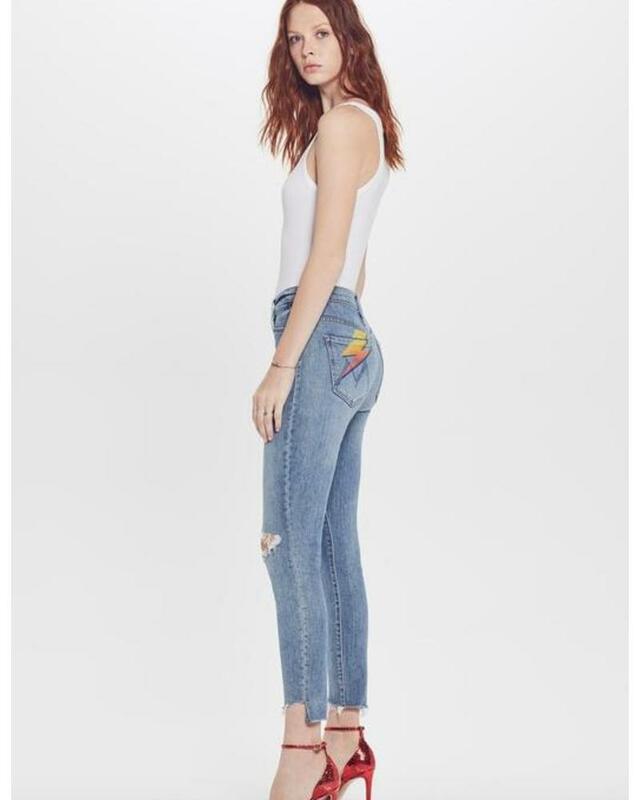 Blown out knees and frayed hem for an extra rough around the edges look.